Now travelers do not require leaving their comfort zones for getting their railway ticketing done. 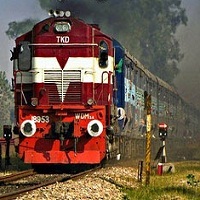 Baikuntha Travel & Tours is based in Bhubaneswar (Odisha) and offers an affordable service of railway ticketing. Dial our numbers and speak to the railway ticketing agents. Provide your basic details like the destination, a number of tickets to be booked, and the preferred travel class. Rest of the work will be managed by the agents. Travelers are informed about the confirmation of the tickets as well. Get in touch with us today. Do not delay in contacting us. Our railway reservation services are available for traveling all over India.